 Welcome to She Thrives. Before we begin, please take a few minutes to read our terms and conditions below. If you have any questions, please do not hesitate to contact us on team@shethrives.org. These terms apply to the use of this Website, including the use of the information services and coaching services provided through this Website. Upon registration as a member, you will be provided with a password and account through our third party provider, Thinkific. You must not disclose them to anyone else or allow anyone else to use your account and password. You are entirely responsible for any access to your account, and acknowledge that any access to or use of your account by means of the password associated with that account is deemed to be access or use by you. This includes any purchases made through your account. You agree to pay for our services in the manner specified on the Website. Registration as a member provides lifetime access to the site, so that you can review and benefit from the content even after the completion of your program. If you breach these terms and conditions, you acknowledge that we may immediately suspend or terminate your account, without refund, and take appropriate legal action. Further you acknowledge that She Thrives is entitled to suspend or terminate your use of the Website or membership at any time if She Thrives considers that you have brought, or may bring, the reputation of She Thrives or its members into disrepute. Acceptance and continued access to our service is always subject to payment first being made by you. We reserve the right to terminate your access to our service if you are not up to date with any payment plan that may be offered. We expect that we will use the payment gateways provided via the Thinkific platform. We are not able to access your credit card or other financial details and you agree that we will not be held liable for any loss you incur arising from your use of this payment method unless caused by our fraud or the fraud of our employees. Our program fees and any other charges are GST inclusive. The receipt of payment that we issue to you will be a tax invoice in accordance with applicable legislative requirements relating to GST. All fees are non cancellable and non refundable except as expressly set out in these terms and conditions. You will not be able to terminate your subscription prior to the end of the program term, and you will not be granted a refund. If you have chosen to pay the subscription fee in instalments, you acknowledge that your account will continue to be debited until the end of the subscribed term. We stand behind our programs and are confident you will get results if you follow the programs weekly and complete the allocated discovery tasks. If, you find you are not getting results, you can notify us in writing at team@shethrives.org within 30 days of purchase, return all of your completed discovery tools from the program and you’ll receive a full refund. No information contained in the Website is intended to be used as medical advice and the Website is not intended to be used to diagnose, treat, cure or prevent any condition (including any mental health conditions). Before relying on the information on the Website, you should carefully evaluate the accuracy and relevance of the information for their purposes and obtain appropriate professional medical advice. SheThrives offers coaching services both via the online programs as well as an additional, face to face services as desired by clients. The Client acknowledges that coaching is a comprehensive process that may involve different areas of their life, including work, finances, health, relationships, education and recreation. The Client agrees that deciding how to handle these issues, incorporate coaching principles into those areas and implementing choices is exclusively the Client’s responsibility. The Client acknowledges that coaching does not involve the diagnosis or treatment of mental disorders as defined by the American Psychiatric Association and that coaching is not to be used as a substitute for counseling, psychotherapy, psychoanalysis, mental health care, substance abuse treatment, or other professional advice by legal, medical or other qualified professionals and that it is the Client’s exclusive responsibility to seek such independent professional guidance as needed. If Client is currently under the care of a mental health professional, it is recommended that the Client promptly inform the mental health care provider of the nature and extent of the coaching relationship agreed upon by the Client and the Coach. Unless otherwise indicated and except for any functionalities provided by external websites, copyright in this Website (including its content, materials, programs, text, graphics, logos, icons, sound recordings, video, software and advertisements) is owned or licensed by us. Information procured from a third party may be the subject of copyright owned by that third party. All rights are reserved by us. In registering for access or using this Website, you may be required to give us certain personal information in which you have certain rights. Personal information relating to you which we collect, use and disclose may include sensitive information, such as information about your career, your details related to how you pay for our services, your age and contact details. If you do not provide all the personal information that we request, you may not be able to complete the registration process, or we may not be able to provide all or some our services to you.